Deal: Grab a brand new iPhone SE for only $200 at Best Buy! Deal alert! Best Buy is currently selling the 32GB version of the iPhone SE at $200. For comparison, the unlocked version of the handset is going for $399 at Apple's official store, so a 50% discount is something that you might want to consider. It is worth mentioning that this handset is labeled as "Verizon Prepaid", but according to the many comments, the units are actually carrier unlocked. This means that you can use it freely with any telecom, as long as you have a SIM card available. Even if the information is not accurate, you can return the product to Best Buy for a refund within 14 days. 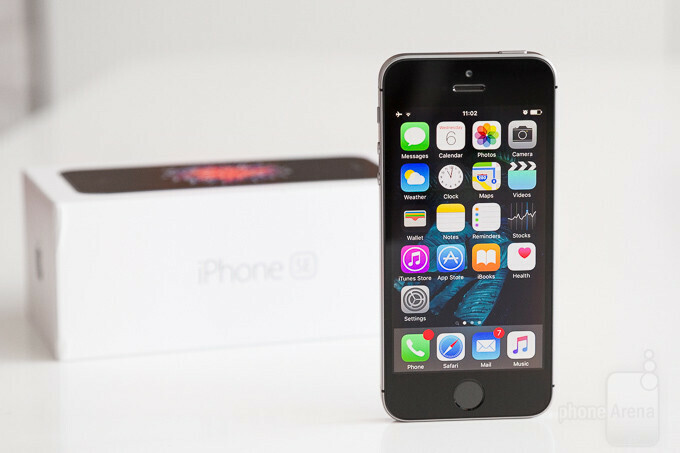 As you may know, the iPhone SE debuted in early 2016, as a beefed up version of the iPhone 5s. It's a perfect choice if you like to use your phone with one hand, as its display measures at 4 inches. The nimble A9 chip makes the handset an excellent performer even when compared to contemporary flagships, and we certainly recommend it as a good buy, especially at this price. Feel free to check out our dedicated review for the SE for more information. If you're interested in this deal, follow the above link to Best Buy. Make sure to act fast, as these go out of stock pretty quickly. That's a great deal for that phone. And since it's only around a year old, it still probably has 3+ years of updates ahead of it. I wish Google supported their Nexus/Pixel devices in the same manner. They do with security updates but you just don't get the meaningless number upgrades with all new features removed and lag added in. Also, they must be behind in iPhone sales numbers for Q3, they seem to be pushing these deals more and more now. Seems iFans might finally get a taste of consumers winning for once (if only with an SE). Not only that but iPA and other Apple mouth pieces have also ramped up their anti-Samsung rhetoric so things must be pretty bad this quarter. Lets see if this will be quarter 7 of iPhone sales declines. If Apple sales are still moving forward. Then there isn't any need to see any significant discounts​ like this one, especially on any iPhone's. As a matter of fact Apple sold 226 million iPhone's in 2015. Yet in 2016, Apple sold 216 million iPhone's, and that is with the introduction of what Apple calls their mid range smartphone. All this time Apple and it's zealots tell everyone that Apple only sells flagship devices. So why introduce a mid range iPhone at all if Apple sales are doing so well? Not to mention I have never seen so many deals lately for iPhone's​. Buy an iPhone 6s or 7 and get a free iPhone SE. Clearly that counts for 2 iPhone sales. Even more recently I saw some carriers offer an iPhone 7 deal. Where you buy one iPhone 7 and get a second iPhone 7 for free. Clearly recycling the same iPhone 6 model 3 years in a row was not a good thing for Apple sales. Lots of sour grapes Finalflash. My iPhone 5s got a lot of meaningful new features over the years and it still performs smoothly. And now on its fifth year will get iOS 11 which I hope will be as fast as the current iOS. you realize google pushes MONTHLY security updates... and apps are updated via play store far more often than just major releases with iOS right? Its saying its not currently available ? They've had this going on for quite some time now, since April if I can recall. You can get the same thing on AT&T Prepaid for the same price and configuration. All you have to do is pop in a SIM card if you are on their post-paid plan and voila. I got one mainly for Facetime since my family is all over the US and it was a cheaper option than getting an iPod Touch or iPad which wouldn't have been used since it's not my daily driver. Now this is a good deal. Getting 2 for my kids. Thanks Best Buy. I was gonna say I have seen a better deal before... Cricket had the SE 16GB for $169.99 for quite a while. It does get my attention when stuff like that happens, as I sometimes wonder if it would be good to try out an iPhone one of these days. I remember the iPhone 3Gs appealed to me back in the day, when they had a lot of deals at AT&T for a free iPhone after the 3Gs was a couple years old, but I restrained myself and resisted the temptation then. At any rate, we will probably never see a free iPhone deal like the old ones ever again, and anything above the $100-mark is out of my price range, and so, in spite of temptation, I will likely continue to restrain myself. I have to admit that I do sort of like the iPhone SE because it combines mid-range specs with a small profile, and I feel like it would be easier to use than all these Android entry-level phones with 5+ inch screens. It is nearly affordable... just not quite for me. When I finally get a decent job that has a salary commensurate with my degree, I'll be able to consider something like the SE as long as it stays as affordable as it is now. If only Apple would intro a new SE model... that would be cool, but my iPod Nano is probably going to be the last of its kind, and it would stink to get into a phone that will also be the last of its kind. I'm just ten years too late to the Apple party, I guess.